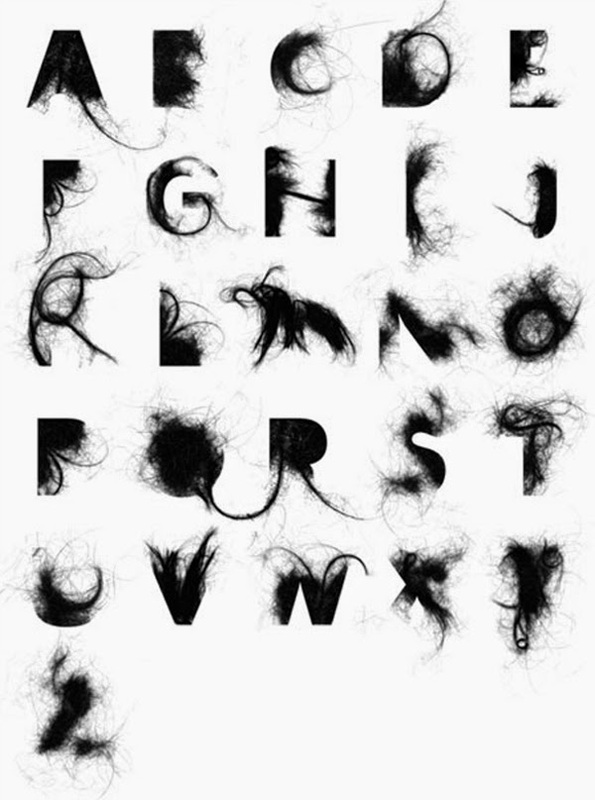 In 2008 British born designer Craig Ward designed Hairy Alphabet, a font set using strands of hair. Each letter was created with randomness, using the natural tendencies of hair to arrange itself organically and chaotically. He allowed the hair "to fall into shapes on his scanner naturally, only tweaking letters slightly to achieve an "incidental look", before scanning them in at a high resolution. One clump fell into a perfect circle, inspiring him to adapt his usual process of starting an alphabet with the letters 'A', 'B' and 'C', to building it up from the letter 'O'.